George Best Belfast City Airport has added two new firefighters to its team following the successful completion of its ‘High Flyers Apprenticeship’ programme. 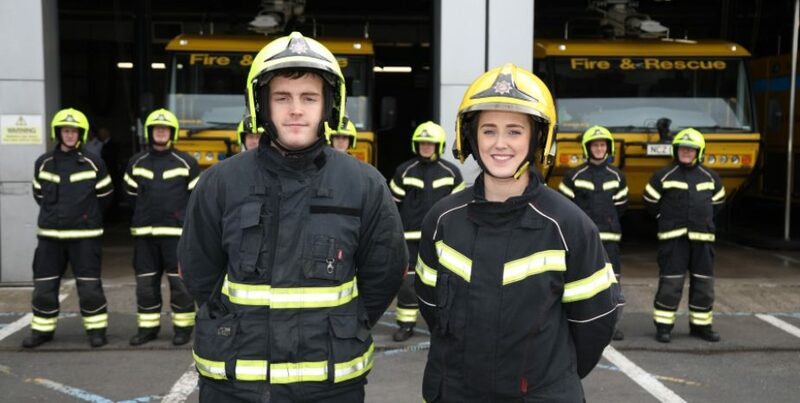 Katie Wilgar, aged 20 from East Belfast, and Dean McGlade, aged 23 from Carrickfergus, have become the latest recruits to find employment with the Airport Fire Service after beating off tough competition from across Northern Ireland for the coveted roles. “It is a dream come true to work with the Fire Service at Belfast City Airport. Each day brings a chance to do something different and the sense of comradery amongst the team is an added bonus. “I originally started studying for a degree in History at Ulster University but when the opportunity with Belfast City Airport came up, I knew I had to apply – I have always admired firefighters and, due to a keen interest in aviation, have been fascinated with the role they play in keeping the airport and its passengers safe. The apprentices faced a range of training before passing through to become fully fledged firefighters, including a written assessment, fitness test, and various courses such as the Chemistry of Fire. As the first responders at the airport, the firefighting team must also have a good knowledge of first aid along with showing competence in confined spaces, water rescue, boat handling and working at heights. Other required courses include advanced casualty care, advance fire appliance driving, and wearing of breathing apparatus. “I wanted to be a firefighter since I was young so being recognised by Belfast City Airport and offered a permanent place is a fantasy fulfilled. “I joined the NIFRS Retained fire service after leaving school at age 17, while also working in Toys R Us, and knew the industry was suited for me – the chance to do something practical that is also worthwhile and helps people doesn’t come around often! Katie and Dean officially graduated from the programme at a passing out ceremony at Belfast City Airport, where they received certification as an Airport Fire Fighter and a plaque of recognition in front of family and friends. “Belfast City Airport is passionate about supporting the local community, and the High Flyers Apprenticeship provides young people with a variety of transferrable and job-specific skills, helping them realise their potential and giving them the tools to succeed in the future. The High Flyers programme extends beyond the firefighting department to include placements in administration, retail, human resources, and hospitality. Belfast City Airport works with leading business service provider, Seetec, to find the ideal candidates for the role. 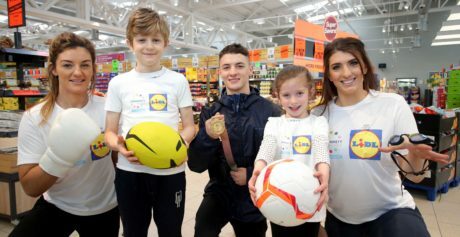 “It has been great to partner with Belfast City Airport and provide it with two very talented apprentices who, I’m sure, will go on to thrive as they learn on-the-job. 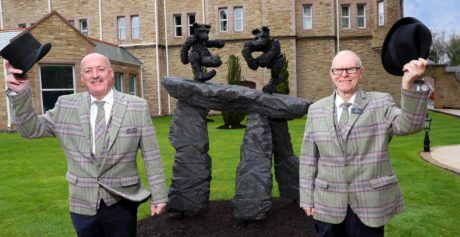 “The airport is one of Belfast’s biggest organisations and we worked in partnership with its team to make sure candidates for the roles were of the highest quality.